As a valued customer of Rohde & Schwarz, you can rely on quickly getting the right spare parts for your instruments at any time. 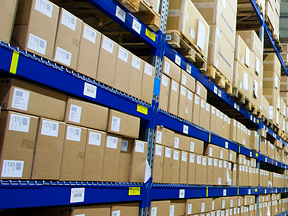 Whether you need components for new instruments or previous systems, our carefully planned inventory concept provides fastest availability and delivery of the right spare parts to nearly any location in the world. This helps to ensure that your Rohde & Schwarz instruments always works with optimum functionality and efficiency. When it comes to spare parts, you can also put your trust in our reliable service.